For the full experience without leaving your chair, look at the Virtual Tour at: www.ogof.net or view the members' pictures. 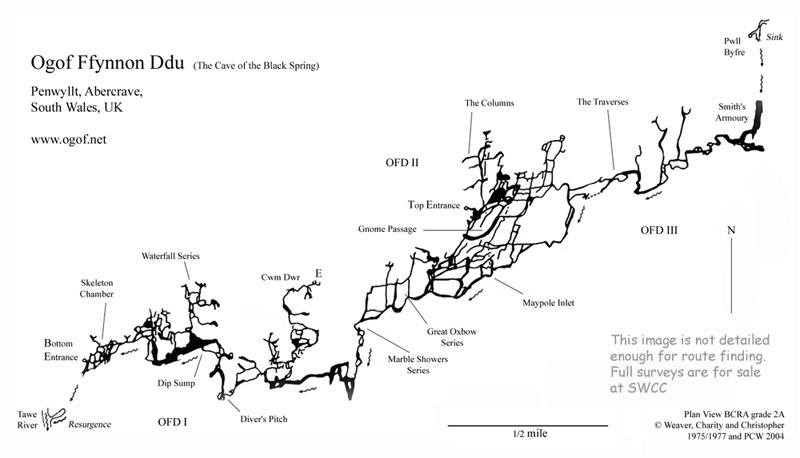 OFD is Britain's third longest cave and at 275m deep is its deepest. The through trip from the Top to the Bottom entrance remains a classic in the UK, and its approx 61km of passages provide everything from huge chambers, beautiful formations, to yawning chasms and thundering river passages. 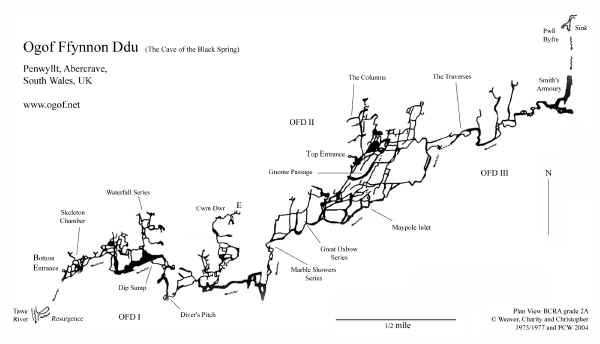 The routes though the cave are too numerous to mention, but the simplified survey below locates some of the main points. Copies of the full survey are available from SWCC HQ. 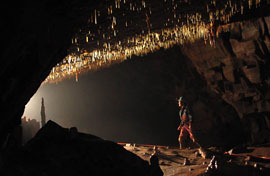 More background info on Ogof Ffynnon Ddu is here and click for a Conservation article from Welsh Country Magasine.